Works well with Windows XP and Windows 7 and 10 clients, OS X, Android, iOS, Blackberry and Playstations. USB keys may get hot when remained inserted for a long period. Supports three simultaneous networks, including a guest network. Great network performance for speed and coverage. This router has been upgraded from Firmware Version V1.0.2.78_1.0.58 to a dd-wrt firmware. Please refer to the dd-wrt.com site for the detailed documentation and instructions. The key to a successful upgrade is to reset the router before and after each step. Hence, after each step, the router will restore its default values. This R6300 V1 model was initially installed with the Kong K3-AC version. Once this was succesfully completed and tested, it was upgraded to the Firmware Version: DD-WRT v24-sp2 (10/06/14) kongac – build 25015M-SP1. 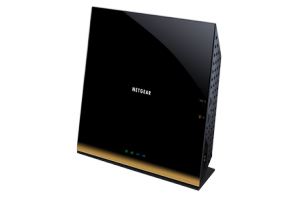 The dd-wrt firmware works stable and provides an equal perfomance as the stock firmware but with more features for wireless channel controls and use of VPNs. The user interface is the big drawback and is not recommended for novice users. Read also The Silicon Underground articles about DD-WRT settings recommendations. 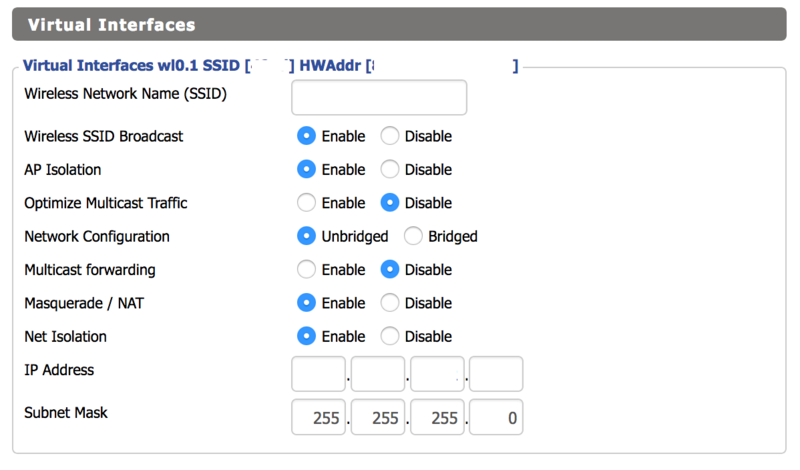 Wireless Basic Settings (‘Virtual Interfaces’): AP isolation enabled. Network Configuration: Unbridged, NAT enabled. You will need to assign a dedicated network range and enable DHCP.